Houston and Miami had also been on the party's short list. The Democratic National Committee will hold its 2020 convention in Milwaukee, the organization announced Monday. The three finalists were Miami Beach, Houston and Milwaukee. Milwaukee had been the favorite of DNC chair Tom Perez, NBC has reported. Milwaukee Mayor Tom Barrett called it a "great day" for Brew Town, and said, "We are ready to showcase Milwaukee on one of the largest stages in the world." The Democrats' 2016 presidential nominee, Hillary Clinton, was widely criticized by the party after the election for not campaigning in Wisconsin, a state she had been expected to win. Donald Trump carried the state by 22,748 votes — less than one percent of the overall vote. Barack Obama won the state by 6.7 percent in 2012. The DNC selection process has been ongoing for months — longer than the cities expected, causing some frustration among organizers in the various locales. The original list also included Atlanta, Denver, Houston, New York, San Francisco and Birmingham. That was narrowed down to the three finalists last year, although Milwaukee was always seen as the frontrunner, because it would signal a commitment to winning back the Midwest. Miami would have been a boost in the most important swing state in the country, and Houston would have been a bet on the party’s future — it’s one of the most diverse cities in the country in a giant state that has been becoming more blue. "That's one way to get Hillary to finally go there," Donald Trump Jr. tweeted. Miami Beach Mayor Dan Gelber said in a statement that, "We're disappointed, obviously, but proud of our effort and of our bipartisan hometown team." Houston Mayor Sylvester Turner said, "We wish the DNC convention planners well," but added they were "deeply disappointed" by the decision. The DNC held its 2016 national convention in Philadelphia, Pa. — a state Trump also won by less than one percent. 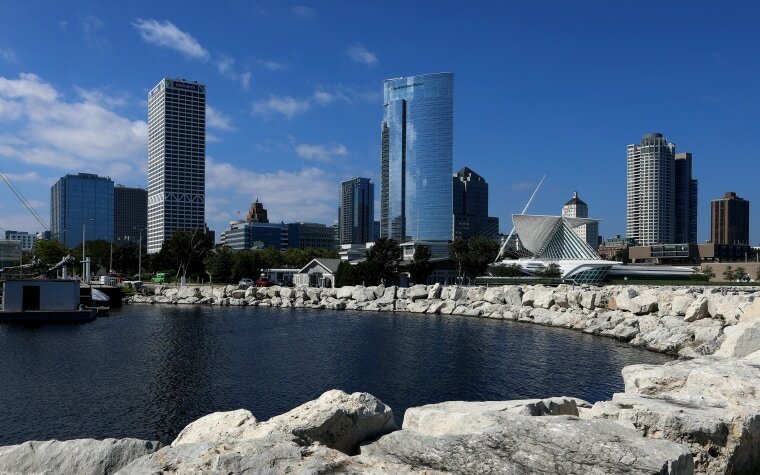 The selection of Milwaukee was first reported by the Wall Street Journal. Seitz-Wald reported from Austin, Texas, and Gregorian from New York City.